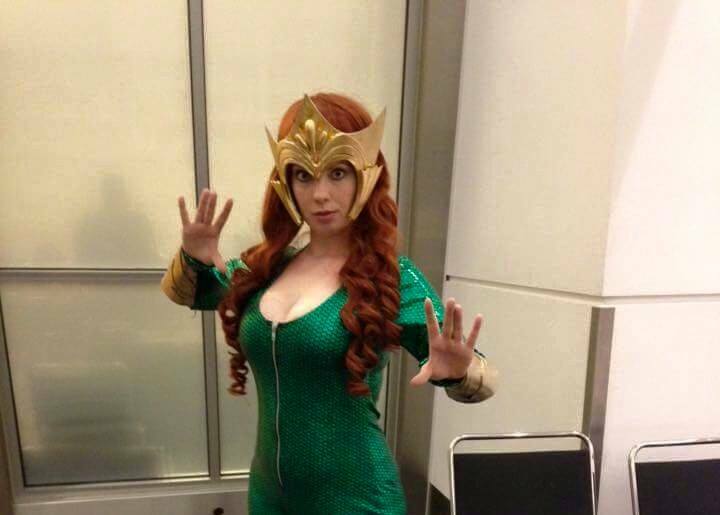 There's a Cosplay Fashion Show in Manhattan tonight, according to Bleeding Cool, and on the poster advertising it is this gal, who appears to be dressed as Mera. This Friday Set NYC and Lovecraft NYC are presenting their NERD Fashion Comic Con. The event will be a gathering of all aspects of nerd culture. The event will feature a Fashion, Cosplay, special performances, screenings, and more. 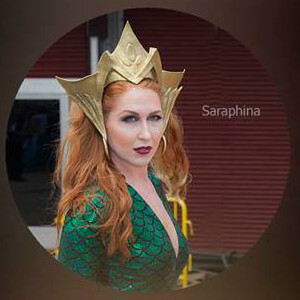 If anyone goes, please let me know how it went and if Saraphina was indeed dressed as Mera. Update: Yup, that's who she's dressed as according to her Facebook page. Many thanks to Rei Shaw for the tip! Bottom photo is SERAFINA Cosplay. Same name, spelled differently. Different people. Please credit.